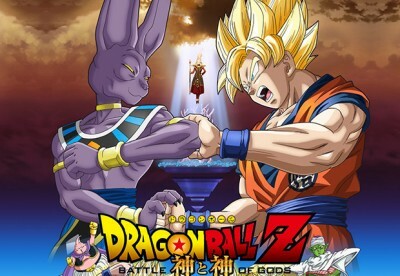 As noted last week, there’s another Dragon Ball Z movie coming out, subtitled Battle of Gods. We now have a trailer to go along with the announcement, and as it expected, it looks far more visually exciting than the budget of the original TV series, filler plot be damned. The movie is also taking more cues from artist Akira Toriyama’s post-Dragon Ball Z art style, which feels a bit more cartoony than what he used before. Battle of Gods probably won’t set the world on fire, but it does make me dream of the day when a company decides they want to make a bunch of money by sinking a bunch of money into a remake, with more modern animation. If there’s an audience for this movie and for the condensed re-edit Dragon Ball Z Kai, then I’m sure enough new and old fans would watch a complete reanimation of the original material.